Are You Really the Product? The history of a dangerous idea. It’s easy to see why “you are the product” is so resonant these days. In a time of confusing data-privacy scandals and mysterious machine-learning algorithms, it offers a deliciously simple explanation for internet companies’ alleged misdeeds. Facebook doesn’t really care about its users, the saying implies, because they’re not the ones ultimately opening their wallets; advertisers are. We’d be fools to expect otherwise from a free service! Behind the aphorism’s sudden ubiquity, however, lies a long and surprising history—one that yields a fresh perspective on our present technocultural moment. It suggests that Facebook’s business model is neither as novel as it might seem, nor as deterministic of its values as critics assume. 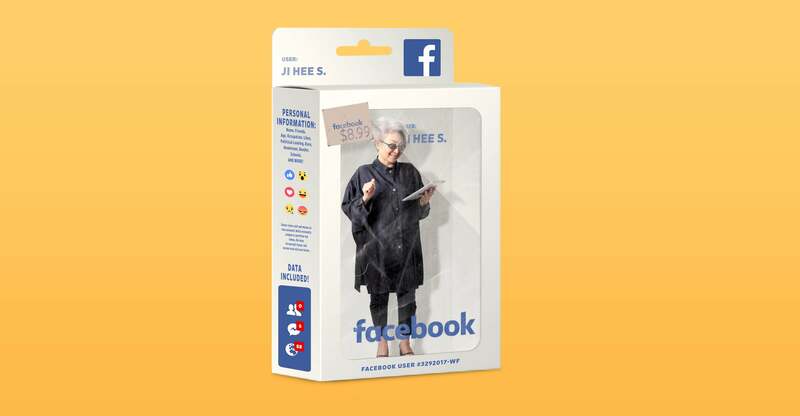 The pithiness that makes “you are the product” so quotable risks obscuring the complex pact between Facebook and its users, in ways that make social media’s problems seem inevitable and insoluble. They’re not—but if we want to fix them, the first thing we need to do is redefine our relationship. Which makes some sense: Network TV in the early 1970s had much in common with Facebook today. It was the everyperson’s refuge, a groundbreaking technology that had morphed into a mindless escape for the masses. It was also a primary source of news, which wedged awkwardly in between the soap operas, comedies, and crime shows. As such, it was widely accused of distorting, oversimplifying, and sensationalizing the vital information of democracy in a crass bid for ratings (read: advertising dollars). Finally, it was a medium that concentrated enormous cultural power in a few corporations—ABC, CBS, and NBC. While TV networks didn’t collect viewers’ personal data on anything like the scale that Facebook does today, they did carefully study their audience demographics and pitch those to advertisers. Facebook can show your ad to males aged 25 to 54 in Houston whose browsing habits suggest they like football; ABC’s Houston affiliate can show your ad to everyone who’s watching Monday Night Football, with roughly similar results. Yet if network TV and Facebook share a basic business model—delivering news and entertainment to huge numbers of people who can then be targeted with advertisements—they’ve had dramatically different impacts on society and politics. And the people who accused TV of treating viewers as the product had a very different beef than the ones now alleging that Facebook and other internet platforms mistreat their users.